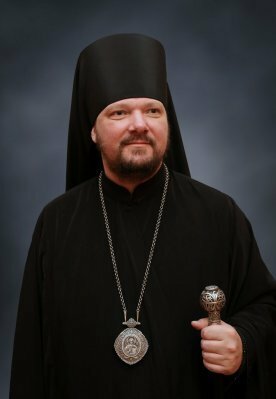 (REDFORD, MI) - St. Innocent of Irkutsk Orthodox Church, 23300 West Chicago Road, 48239, will celebrate the 50th anniversary of its founding with an Hierarchical Divine Liturgy on Saturday, Oct. 28 at 10:00 a.m.
Presiding at the liturgy will be His Grace JOHN, Bishop of Naro-Fominsk, Russia, Vicar of the Moscow Diocese of the Russian Orthodox Church, and Administrator of the Patriarchal Parishes in the United States. Concelebrating at the liturgy will be the Rt. Rev. Roman Star, pastor of St. Innocent, the Revs. Daneil Shirak and Joshua Genig, assistant priests, and visiting clergy from across the United States. St. Innocent parish will formally receive and greet Bishop John at 9:30 a.m.
St. Innocent was founded on March 3, 1967 by the Rev. 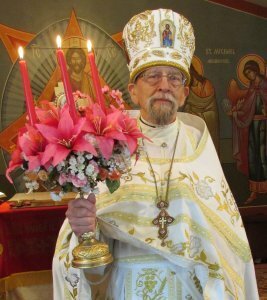 Igor Burdikoff and a group of sixteen families as the first all-English-speaking Orthodox parish in metropolitan Detroit. A church with an attached rectory owned by a Baptist congregation was purchased and transformed into an Orthodox temple. Father Star became the priest at St. Innocent in June 1984. For a history of St. Innocent, visit its website at https://stinnocentchurch.com/historyofourparish.html. For further information on its 50th anniversary celebration, visit http://stinnocentchurch.com/50th_anniversary.html.